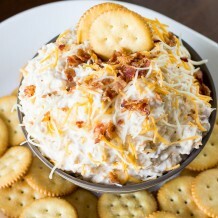 I can’t believe next weekend is Memorial Day weekend already and that means it’s time to fire up the grill. 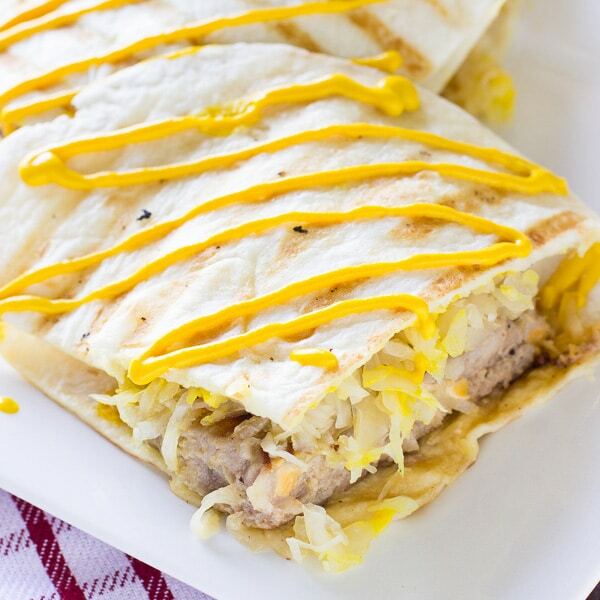 For our Memorial Day party this year, I will be making these Cheddar Cheese and Bacon Brat Quesadillas. 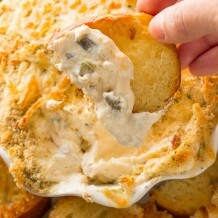 These Cheddar Cheese and Bacon Brat Quesadillas make the perfect Memorial Day party appetizer or main dish. 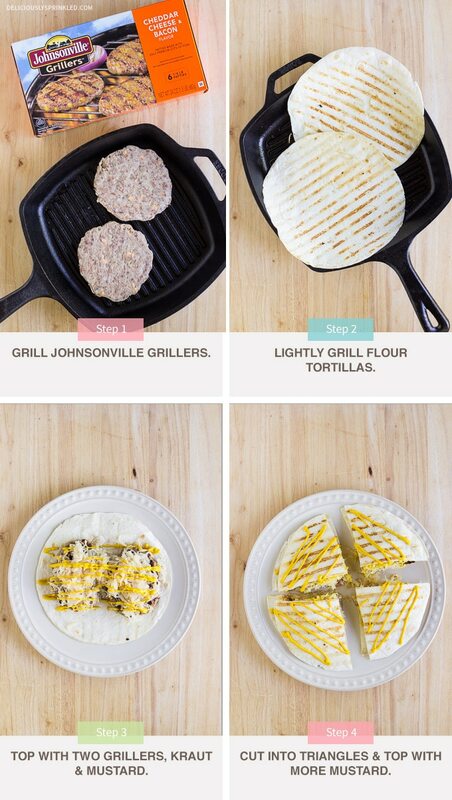 To make these quesadillas, I used Johnsonville Grillers™. This Wisconsin girl grew up with Johnsonville and still to this day it is the only brand of sausage I use. 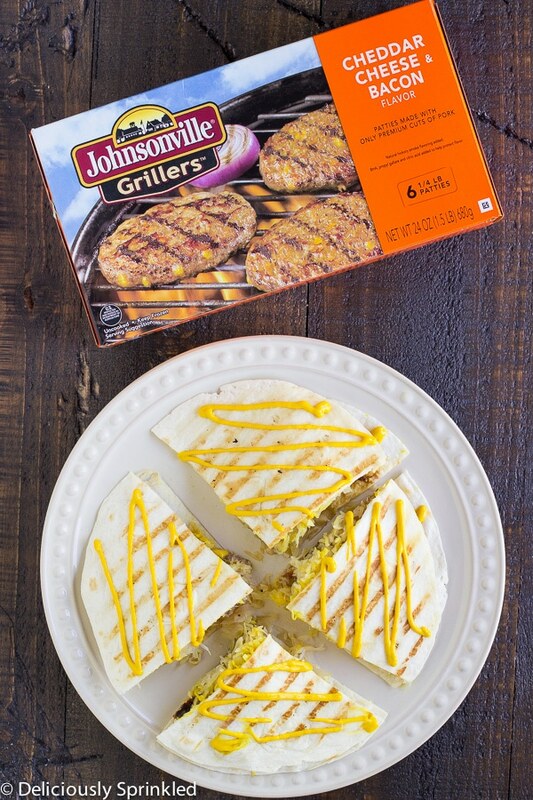 And when it comes to throwing the perfect Memorial Day party, convenience is key and Johnsonville makes it easy by cooking with these delicious Johnsonville Grillers™. 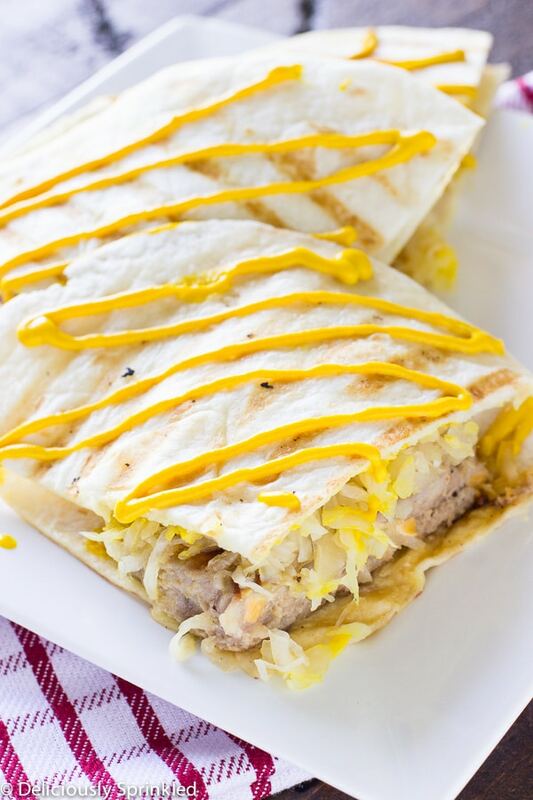 ✓ TOPPINGS: I kept it simple by adding kraut and yellow mustard to these quesadillas but you can load up these quesadillas with all your favorite brat toppings like onions, spicy mustard and if you like it hot maybe some jalepeno peppers. STEP 1: Grill patties for about 12-14 minutes or until the internal temperature reaches 160F, turning occasionally. STEP 2: Place tortillas on the grill for about 30 seconds each or until lightly brown. STEP 3: Place cheddar cheese & bacon brat patties on top of one tortilla. Top with kraut and yellow mustard. 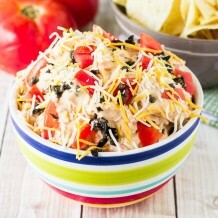 Top with other tortilla. STEP 4: Cut into triangles and top with yellow mustard.